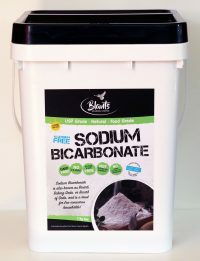 Our premium grade, economically priced Sodium Bicarbonate is a natural, aluminium-free, USP & food grade baking soda, and is registered with Australia Certified Organic (ACO) as an Approved Ingredient for food formulations, or manufacturing organic products as a bicarb suitable for Organic Input Production. Our bicarb contains no fillers, additives, anti-cake agents, colouring or fragrance. It’s non-GMO, fumigation-free, allergen-free and is not tested on animals. Also known as baking soda and bicarb of soda, it’s a household staple – a safe, versatile, environmentally friendly product with a multitude of uses. So how can you use our bicarb? 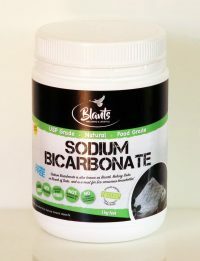 Sodium Bicarbonate soothes, relaxes, and also softens your skin. Great for relieving tension after the gym or a hard day at work. Dissolve 2 cups of bicarb in your warm bath and relax for 15 minutes. Bicarb can be used as a deodorant, as relief from itchy skin and sunburn, for splinter removal, as a toothpaste and tooth whitener, and more. Sodium bicarb added to your wash boosts the strength of laundry detergents, making your clothes cleaner, brighter and fresher. Baking soda is a mild abrasive, perfect for removing stains from your sink, bench tops, bathroom tiles, bath and shower. 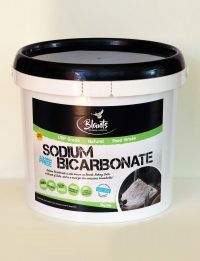 Sodium bicarb eliminates odours rather than covering them up. Use it for smelly shoes, stale-smelling carpets, and in your bin, fridge and pantry to keep them smelling fresh. A good tip is to run your dishwasher and washing machine through a cycle with bicarb instead of detergent, to give them a great clean and reduce odours. 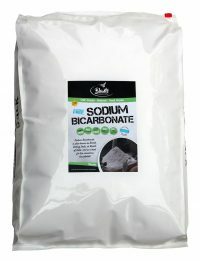 Pour 4 tablespoons of bicarb down your drains and flush with hot water. Do this weekly to keep them free-flowing. Baking soda is used in many recipes. If you’ve got a favourite you’re happy to share, you could post it on our Facebook page! Available in 1kg, 5kg, 11kg and 20kg. 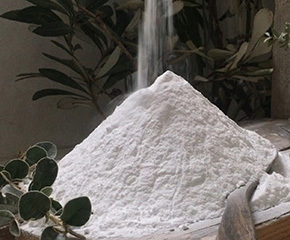 For wholesale and bulk buy bicarb, please contact us.